Why Are Leafy Greens so Good for You? It is common knowledge that leafy greens are full of nutritional benefits. They are rich in vitamins A, C, E, K, and B complex. Leafy greens are also chock-full of minerals and antioxidants. They are likely the biggest bang for your buck when it comes to preventing illnesses and maintaining overall health. Their abundance of nutrients is undeniable. Therefore, we should get them every day, right? Are you getting your leafy greens daily? Folic acid— Healthy pregnancies and adequate amounts of folic acid go hand in hand. But, even if your body isn’t in the process of making cells to support a new life, folic acid is still essential to your health. Leafy greens contain adequate amounts of folic acid that aid in the renewal of cells throughout the body. Cell renewal is a biological process that is in continual motion. Providing your body with the cleanest and most efficient fuel to complete the process will only ensure it will last longer. Studies indicate that Moringa oleifera is an excellent source for dietary folic acid. Brain health— Many are not aware of the benefits that leafy greens have on brain power. When our cognitive process starts to decline, it can be incredibly confusing for us and those around us. Numerous studies reveal that a slowing in cognitive abilities is associated with lack of “brain exercise” and proper nutrients. A study conducted by Rush University several years ago revealed that dark leafy greens might slow brain aging by 11 years. Anti-aging and protection against sun damage— Leafy greens provide UV protection at a cellular level through the antioxidant and anti-inflammatory benefits. Which leafy greens are high in protein? Most associate high protein with meat… this leaves plant eaters out in the cold. But, don’t lose heart if you aren’t keen on meat, because some leafy greens are very high in protein. Greens such as kale, spirulina, spinach, and brussels sprouts also contain protein, but have you considered the protein gram count in Dead Sea Moringa? It may surprise you. It contains more protein gram-per-gram compared to the more familiar high protein greens and is much more convenient to take on the go. Complete proteins contain all nine essential amino acids, which are the building blocks to every crucial function of the body. Dead Sea Moringa contains high concentrations of all nine essential amino acids. Dead Sea Moringa is a natural and whole-food source of protein, antioxidants, vitamins, and minerals that the body depends upon to stay healthy and recover from exercise. Ask any bodybuilder or nutritionist, and they will say getting vitamins and minerals from whole foods is what is best for the body. With a typical busy lifestyle, it can be hard to get all of these nutrients packed into a daily diet. And if a workout routine is added to the everyday busyness, it can be harder and that much more crucial to get quality protein. Which leafy greens are high in potassium? You will see some similarities between the high protein and top potassium list of leafy greens such as bok choy, spinach, and swiss chard. Probably the most famous potassium-rich food is the banana. Potassium is an electrolyte mineral that plays a crucial role in body functions. It blunts the effect of sodium to help maintain healthy blood pressure, regulates fluid and mineral balance in the body, promotes muscle contractions, along with a number of other biological processes. Potassium is powerful! Potassium carries excellent health benefits, as it is one of seven essential macrominerals. The human body needs at minimum 100 milligrams of potassium a day to support biological processes. Dead Sea Moringa contains three times more potassium than a banana. And you get the benefits of the leafy greens that accompany it. Which leafy greens are high in iron? Spinach—probably the most well known of the iron greens—along with swiss chard and kale, continue to be ranked high in iron, too. These leafy greens contain most of the ‘strong’ minerals when they are eaten raw. However, Dead Sea Moringa is gaining momentum in the race. With three times the iron of spinach, it is ideal for an on-the-go lifestyle. Iron deficiency leads to anemia, the most common blood condition in the United States. Fatigue is a symptom of iron deficiency. If you aren’t eating red meat and notice symptoms of anemia, its worth your while to consult a health care provider and ask about iron supplements. Supplements are the typical form of treatment for iron deficiency. Moringa leaves are known to be an excellent source of iron. At Dead Sea Moringa, we harvest the leaves of the plants and encapsulate them when production is at its peak… for optimal benefits. Which leafy greens are high in calcium? Broccoli, kale, spinach, collard greens—these greens carry the calcium trait. Milk and even oyster shells are high in calcium, as well. Calcium is essential to your health, especially as you age. Dead Sea Moringa contains a high concentration of calcium. In fact, it packs 17 times more calcium than milk. 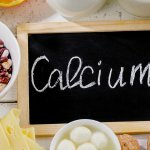 However, there are several factors you may not realize that can influence how your body breaks down calcium. Calcium can come in a variety of different forms. Elemental calcium is the actual pure calcium that is absorbed by the tissues, muscles, and bones in your body. Not all sources of calcium contain the same levels of elemental calcium. Any labels of products you purchase should include the total amount of calcium found in the supplement. 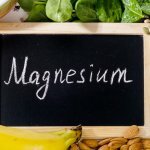 Keep in mind; your body also needs sufficient levels of magnesium and vitamin D in order to break down calcium and distribute it to your tissues. Produce sections at groceries and supermarkets are filled with various types greens, both common and uncommon. But you can be sure that when you take the all-natural supplement, Dead Sea Moringa, you are getting the highest quality moringa product available… one that packs nutrients to power your brain and body, protect you from sun damage, and boost your immune system. Check out this one-of-a-kind power green today!